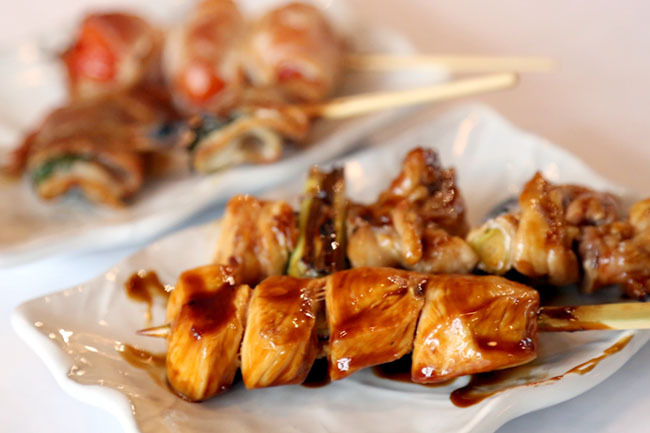 My idea of a Yakitori-ya is a small restaurant that grills chicken sticks over charcoal, where customers sit around a counter for shochu which would be an informal, busy and smoky affair. At last that is the impression I get at Tokyo’s Omoide-yokocho street in Shinjuku. 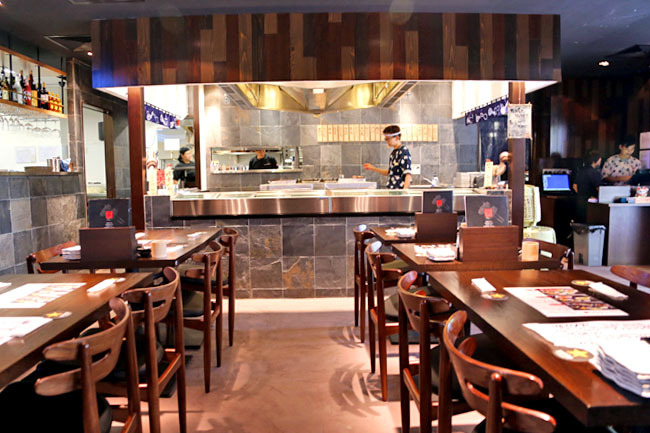 The new Sumire Yakitori House at Bugis Junction (it took over Social Sin) is quite different. It has a yakitori grilling kitchen in the midde, over electric grills nonetheless, and customers sit far away in booth or table seats. No counter seats at a yakitori bar? Perhaps because Singaporeans do not want to smell! But it does take away a little of the atmospheric mood of a yakitori house. With that said, the prices are surprisingly very affordable, considering this is on prime land Bugis. 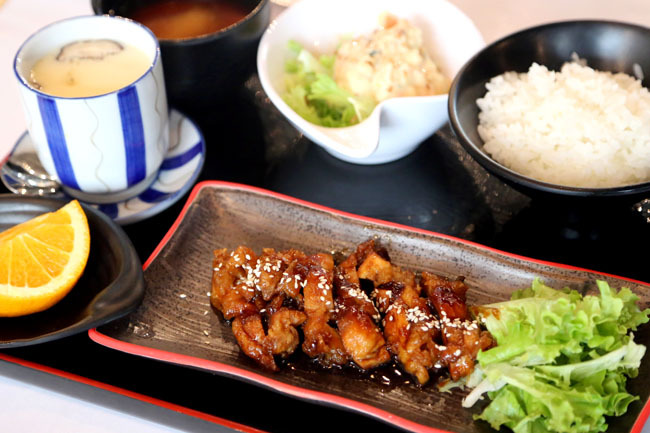 The Sumire Lunch Special ($14.90) I had contained chicken teriyaki, along with plenty of sides such as 2 sticks of yakitori, potato salad, chawanmushi, miso soup, fruits and steamed rice. 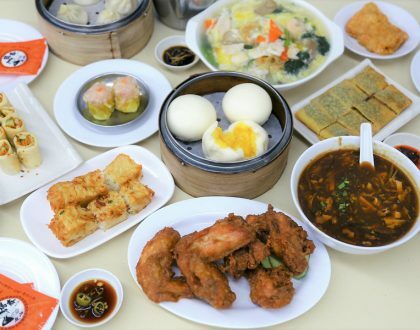 This is extremely affordable for the lunch time customers, and they did not compromise too much on the taste. 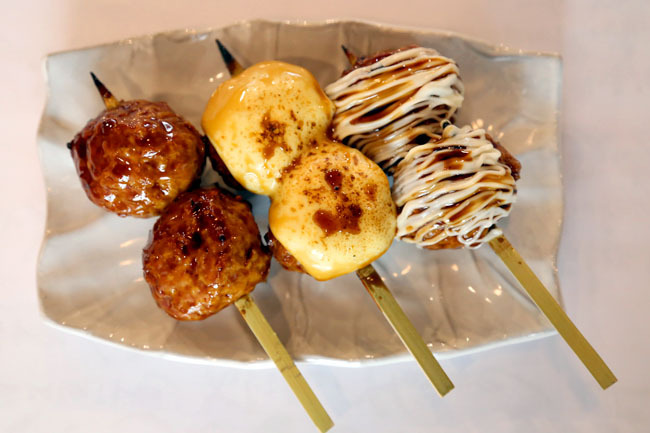 Whenever I order yakitori, the default choice would be Tsukune – Japanese chicken meatballs covered with a sweet soy sauce. 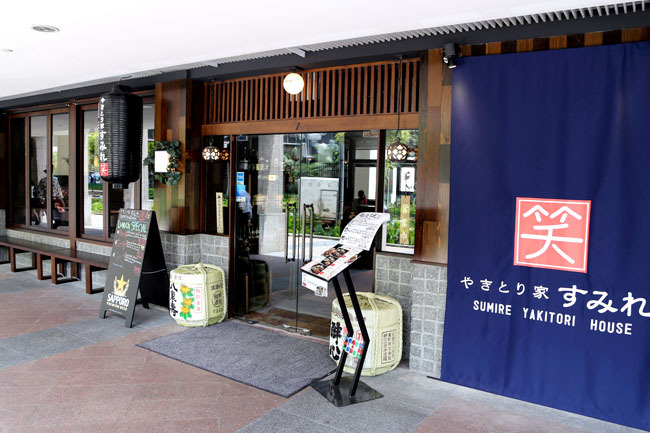 Interesting, the tsukune at Sumire has two distinct feature: there are ‘men’ and ‘ladies’ sizes, and have options of teriyaki sauce ($3.90), teriyaki sauce and mayo ($4.90), and the all of the above with cheese ($4.90). The ‘men’ balls are supposedly too huge for the females, so they came up with the smaller ‘ladies’ variation. I had the larger ones which are sized like sotong balls (since they are the same price), and the original Tare is juicy yummy, and you can really take bites off them satisfyingly. The cheese version felt slightly overpowering which masked the taste of the sauce. 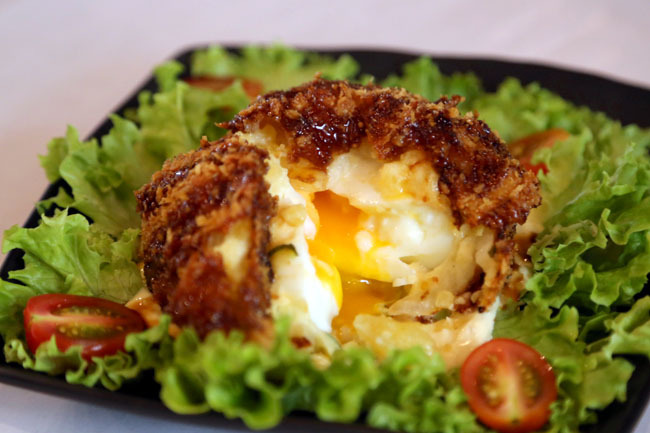 Another must-order is the Bakudan Korekke ($6.90), homemade potato croquette with an eggy surprise within. 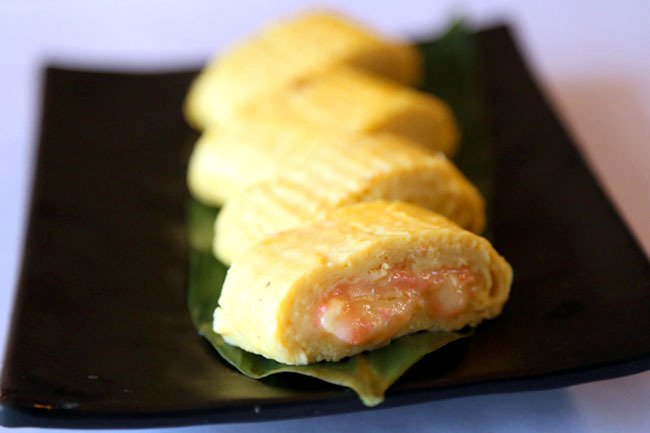 A combination of crispy croquette with oozing egg yolk? Give it to me! I would have thought it would just be a gimmicky presentation, but the taste actually matched its look with the inner creamy potato. 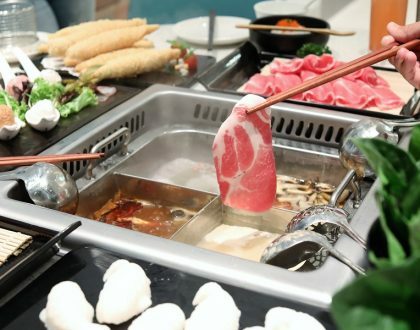 There is quite a variety of sticks, from chicken leek, chicken shoulder, mid-joint wings, pork belly, oyster mushroom with garlic butter and avocado with wasabi cream. There are some hits and misses – but I wasn’t expecting too much anyway. 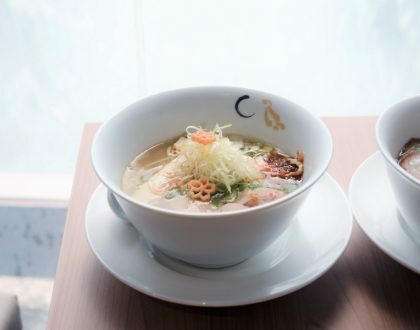 Prices are from $2.90 to $3.90 and won’t exactly hurt the wallet compared to some other local yakitori restaurants which can cost and arm and a leg. Service is not bad. More reason to smile at Sumire.